Leadership, project management, communication skills, strategic planning - organizational and operational designs, budgetary planning, and change management. 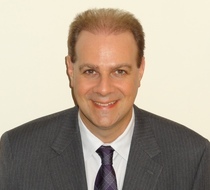 Jim La Creta is the Chief Information Officer at Brandeis University. He has more than 20 years of experience working in technology and communications. In addition, he is active within several local and national IT consortia. He holds a Master's Degree in IT Management from the Rabb School of Continuing Studies as well as a Doctorate in Education - Leadership and Communication Specialization from Northeastern University.